People want to know that their home, store or office is secure. Installing surveillance cameras used to be quite an expense, which only the most important could indulge in it. 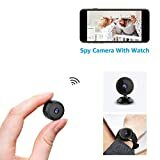 But with today's technological advances, you can get hidden cameras that are amazingly small—and surprisingly simple to use. You can find wearable cameras, which are concealed in a necktie or a pair of eyeglasses. Or you can get a pen, phone charger or alarm clock that conceals a video camera. Some even allow you to view the pictures on your mobile device in real time! It's worthwhile getting familiar with all the different options out there. 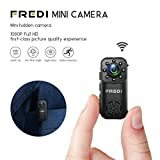 The best hidden cameras should be small enough to fit into a tiny place from where it can record sound and take footage. 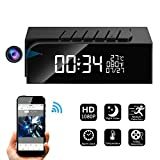 Besides the size, you should consider the battery life of the camera, and the audio and video quality that will give you enough evidence as a video proof. More expensive doesn't mean the best - shop around and follow our tips below to find the right hidden camera. Micro cameras: You can get cameras concealed in a pen, a phone charger, or a smoke detector. 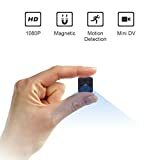 These offer HD video in a camera that can be as small as 1.4 inches in height. Wearable spy cameras: You can purchase wearable articles that conceal a spy camera. It could be concealed in a pair of eyeglasses, a hat, or a necktie. There are also clip-on cameras, such as those offered by Spy Gadget or Spycrushers. 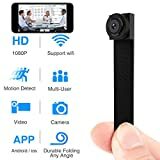 Car dash cameras: You install a "dashcam" on your car's dashboard, so that if you get into an accident or altercation on the road, they can record exactly what happened. Also, you can record a person's driving habits, if you lend your car out to someone else. 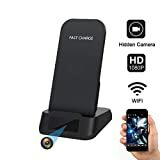 WiFi Hidden cameras: You employ these cameras to send images to a computer, iPhone, or Android device via a WiFi connection. 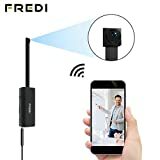 For example, the FabQuality Premium Spy camera can send the information over 50 meters—this way, you can watch what's going on from another room in your house. 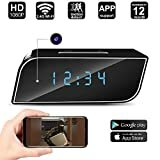 Night vision cameras: You can purchase a camera that functions as a color video camera during the day, but uses infra-red to pick up images at night. SpyGadgets makes a series of night vision cameras that are concealed in watches, alarm clocks, or USB drives. 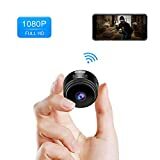 All-in-one hidden cameras: You can also find cameras that also include digital video recorders, as an "all-in-one" device. Quad view: Use this feature to get full surveillance of a particular room. SpyGadgets Intelligent Surveillance makes a set of 4 interconnected cameras. Indicator lights: You need to be sure that your device is filming--but you can't let anyone else know that. There are blinking lights on the Spy Gadget Spy Camera Pen, which indicate that the device is in standby mode, or actually filming. But the lights on the pen sort of ruin the stealth in the act of filming. That can be remedied by covering the lights with electrical tape. Video plus sound: Customers are pleased that they can use a hidden camera to record entire lectures or events. A lot of devices can record sound, but being able to record HD video is a big plus. Motion Sensitivity: You only want to record when there's something noteworthy going on. 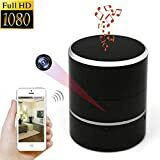 Most cameras are equipped with a motion sensor: They start filming only when they detect some sort of motion in the room. That saves you the trouble of looking through hours of unimportant footage. And they go on standby, to save battery power—which is important, if battery power is limited to just 2-3 hours. Video quality: You'll see hidden cameras rated by their resolution. For example, there are 1080p or 720p HD cameras. HD stands for “High Definition”, as opposed to SD, which stands for “Standard Definition”. The number of pixels in the display determines the degree of definition. Standard Definition is 720 pixels X 576 pixels. But a 720p HD screen is 1280 pixels wide x 720 pixels tall. And 1080p has resolution of 1920 X 1080 pixels. The more pixels in the picture, the higher the quality of the picture. Photo Resolution: You should also consider the photo resolution, if you want your camera to take still shots. The SpyCrusher Micro Digital camera can take 1280 x 960 pixel still shots. Storage space: Get a device that can store a lot of footage. There are devices with 16 GB of storage space. That's enough to record almost 10 hours of footage. But most cameras also can take an additional SD card, which will extend the storage another 8 GB or more. Battery life: You'll want to make sure that the battery doesn't die in the middle of filming. Check the battery capacity—usually 2 or 3 hours will be the limit before you have to recharge. 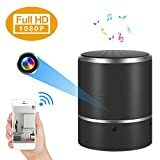 Plug and Play devices: You'll prefer a camera that lets you copy the pictures to your computer with ease. 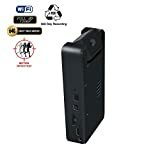 There are hidden cameras, such as the Spy Gadget Hidden Camera, that don't require any installation software. They're pretty much just “plug-and-play”--as soon as your computer—running on Windows or a Mac--recognizes the device, you can transfer over your pictures. FabQuality—are makers of camera and photo equipment. 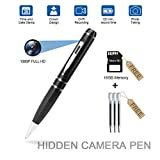 They make a hidden camera pen, as well as a IP camera. They also make ice cube trays, candy molds, food containers, and other home accessories. Spy Gadgets—was started by John Marshall in 1998, and have their headquarters in Montgomery, Alabama. They sell hidden and security cameras, spy cameras, spy gear, digital voice recorders, GPS tracking equipment, and more. Minicute—are makers of a hidden spy camera pen. The pen includes a card adapter and reader, as well as ink refills to function as a real pen. You hook up the camera to your computer with a USB cable to view the photos. SpyCrushers—are located in Geneva, Illinois. They are makers of consumer goods and electronics for cameras, surveillance equipment, and personal security products. Their spy equipment includes cameras concealed in pens, eyeglasses, sunglasses, keychains, neckties, clothes hooks, alarm clocks, AC chargers, thermometers, smoke detectors, and more.